Crucifixion was the most agonizing and shameful form of execution ever devised (the Romans confined this form of punishment to slaves and criminals of the lowest type), and yet the physical agony which Jesus had to endure was but the faintest reflection of the spiritual suffering He had to undergo as the Bearer of the sin of lost mankind. 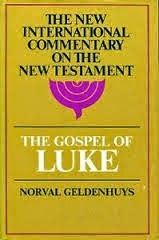 For this reason the Gospels give practically no details of His physical suffering, so that the reader’s attention should not be concentrated upon outward things and thus overlook the deepest essence of His suffering. What a pity that in so much Christian art His physical sufferings have been brought so greatly into prominence (Luke [Eerdmans, 1951]: p. 608).